Known as ‘The land of Gods or Dev Bhumi’ the northern state of India, Uttarakhand is an empyrean for the nature lovers and adventure enthusiasts. 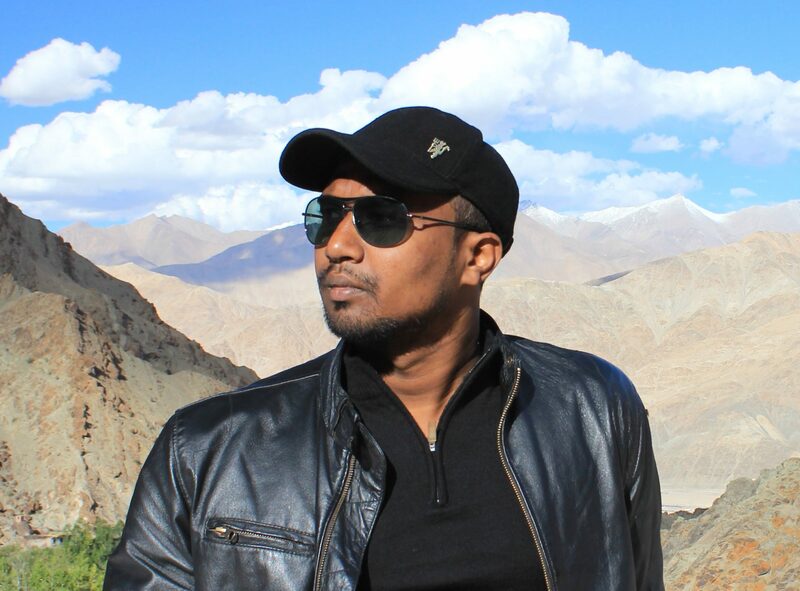 It’s rugged beauty and lofty cherry topped snowy mountains offers a great trekking experience .The difficulty grade for these treks ranges from easy to strenuous that entice trekkers from all over the globe. If you are stepping into Himalayas for the first time, Kuari Pass Trek which is also famous by name of Lord Curzon Trail is, the trek to do. Almost perfectly crafted for the beginner it is easy enough trek for someone starting out in the Himalayas. At an altitude of 4264 meters, Kuari Top the highest point in the trek is an amphitheatre where some of the stalwart peaks of Himalayas take the stage. 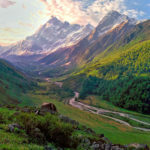 The trek route to the Kauri Top offers an un-daunting panoramic views of several peaks like Mt Kedarnath, Mt Kamet, Mt Nanda Devi, Mt Dronagiri, Mt Chaukhamba and Mt Neelkanth. 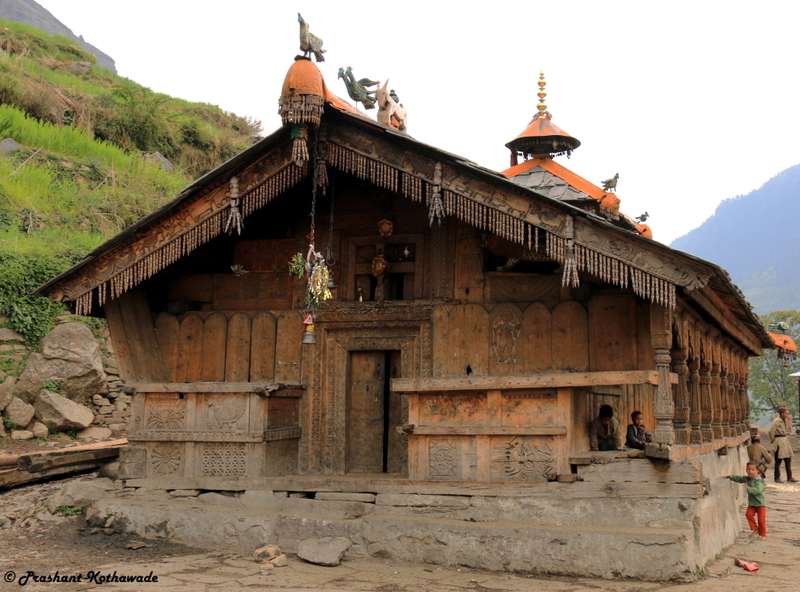 The trek begins from the holy town of Joshimath, in the Chamoli district of Uttarakhand. 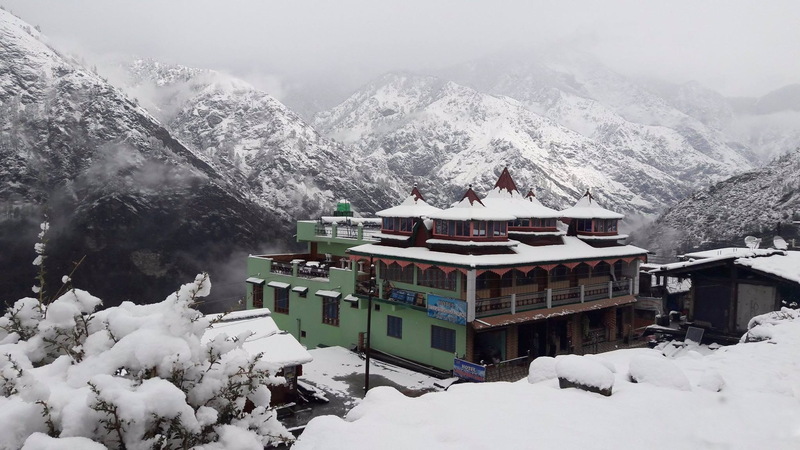 Joshimath town is known to the Holy adobe for Lord Badri who during the 6 months of winter spell leave the Badrinath Temple to reach Joshimath and resides there till the onset of the Summers. So it makes Joshimath town a great confluence of trekkers and pilgrims alike. 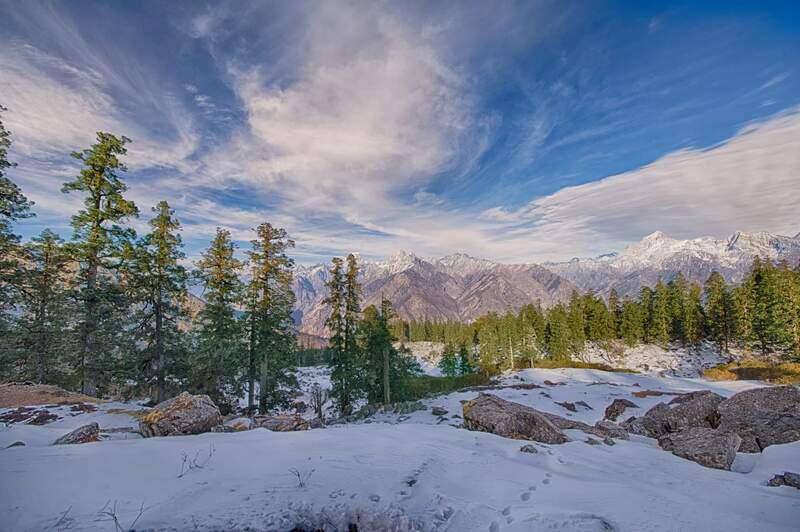 Accessible through a sleek goat track the trek proceeds through many of the small remote Himalayan villages dotted by gorgeous jungles of Rhododendron trees and Deodar trees to finally reach the picturesque Auli town at the end of the trek. The distant refreshing roaring sound of the gushing rivers Kaliganga, Dhauli Ganga and Mandakini will accompany you throughout the trek. For mountain lovers and adventure seekers, there is no doubt that this trek is filled with varied experiences altogether. 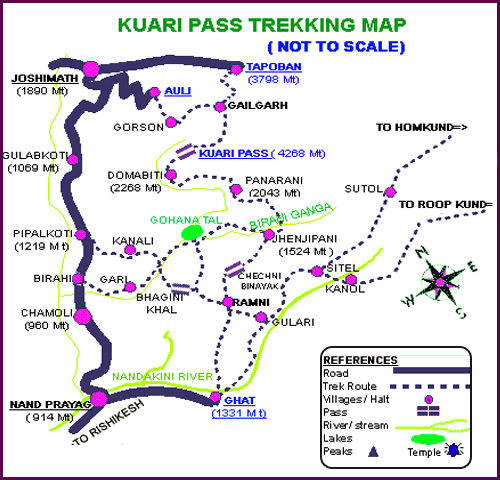 Be it meandering through the never-ending meadows with majestic mountains view all around or sun basking under the gorgeous forestry settlements on the Himalayas providing a chance to view mesmerizing sunsets and sunrises, Kuari Pass trek will surely touch your heartstrings. The ‘Mountain of the Serpent’ or the Nag Tibba, is the highest peak in the lower Himalayas of the Garhwal region. As per local belief this range is the holy abode of deity Nag Devta and so is the name. The trek’s easy access from the Dehradun city offers memorable sunrise and sunset views. Nag Tibba Trek begins from a quiet hamlet in the vicinity of Dehradun-Mussoorie , called Pantwari village. 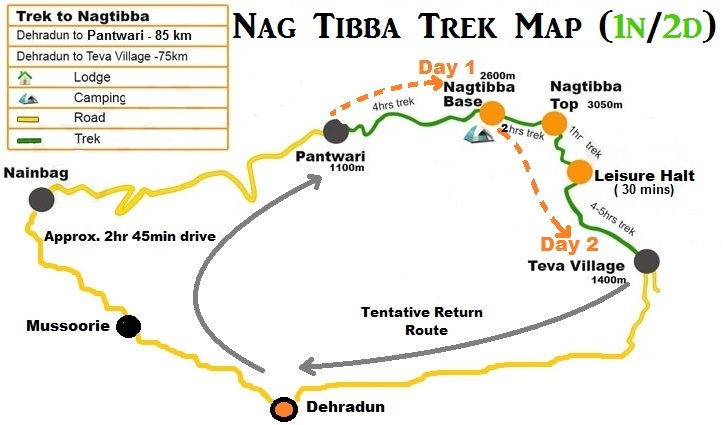 There are four well marked routes to Nag Tibba peak . 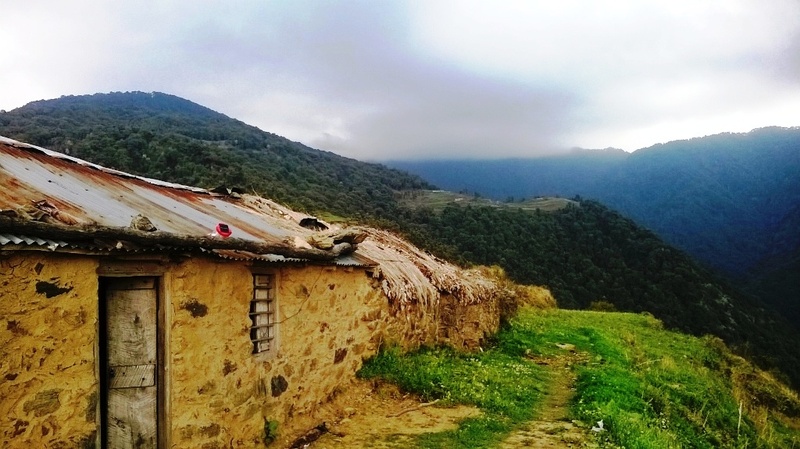 The trekking trail from the Pantwari village is the most popular one chosen by most of the trekkers. The other famous routes are from the village of Devalsari followed by Aunter and Mangalori Village routes. The trail of the trek starting from the Pantwari village begins up with a rocky ascent, then it enters the oaks grove and forest full with the rhododendrons trees. 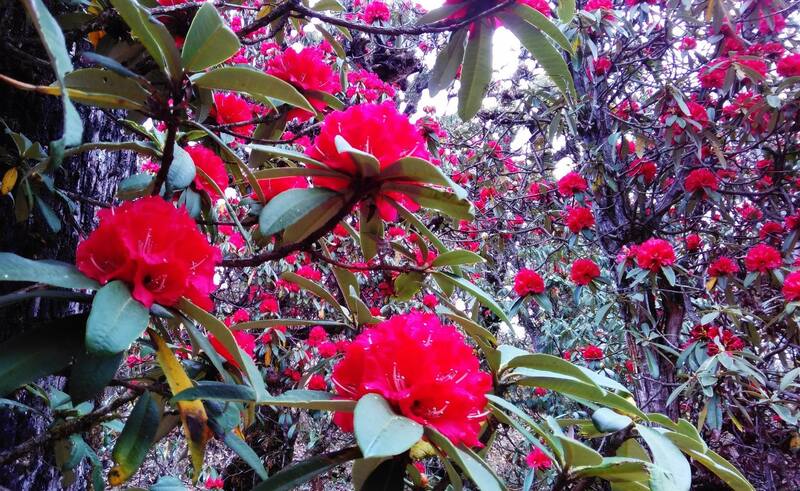 During the summers, trekkers are greeted with red blossoms of rhododendrons flowers and eye soothing greenery throughout the trail. And during the winters the beautiful vistas changes by getting draped with abundance of white snow. 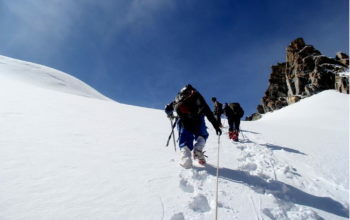 It takes around 7 hours to cover the 10 kms stretch through the shortest route to reach the hilltop from the base camp. 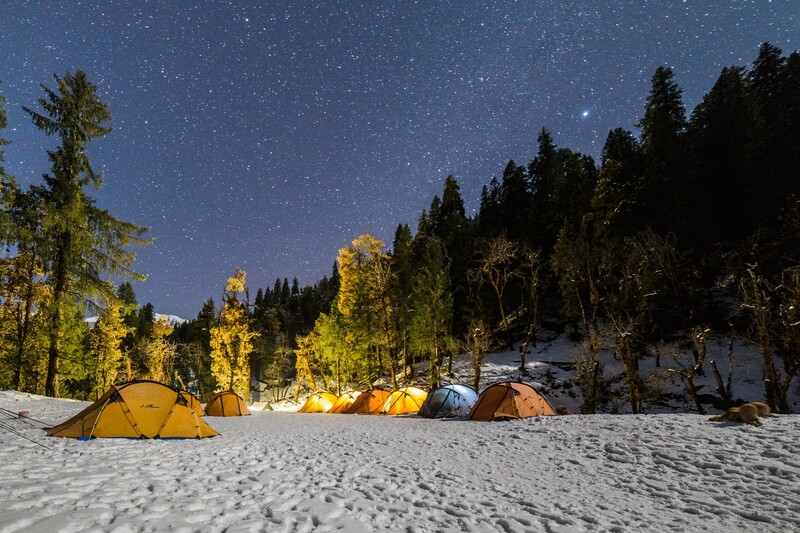 The trek is accompanied by night halt and camping on a nice and flat clearing at the edge of the forest that overlooks the undulations of the Lesser Himalayan green slopes which expands far and beyond. The other lesser highlight of the trek is the absence of any step terrains that makes the Nag Tibba trek as one of the easiest treks in India. 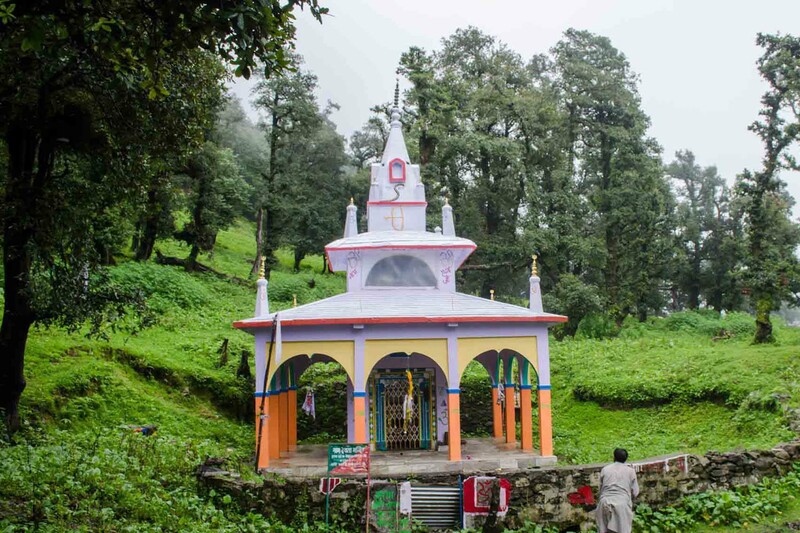 The trek goes on up to the Nag Tibba base which is marked by a small temple dedicated to the serpent god Nag Devta. The Nag Tibba Top is little distance up from the temple. The climax of the hike comes with the unveiled faraway sight of the Gangotri group of peaks. 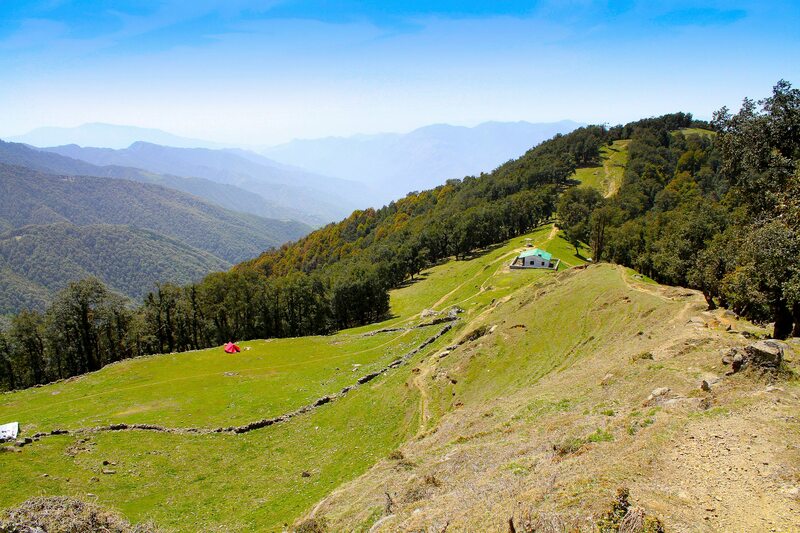 Nag Tibba is a 10 km trek from the base camps in Pantwari which is located at a distance of 60 km from Mussoorie. The nearest railway station is the Dehradun station From there take a cab to reach the famous hill stations town of Mussoorie. The trails of Lower Himalayan region evoke thrill and adventure. 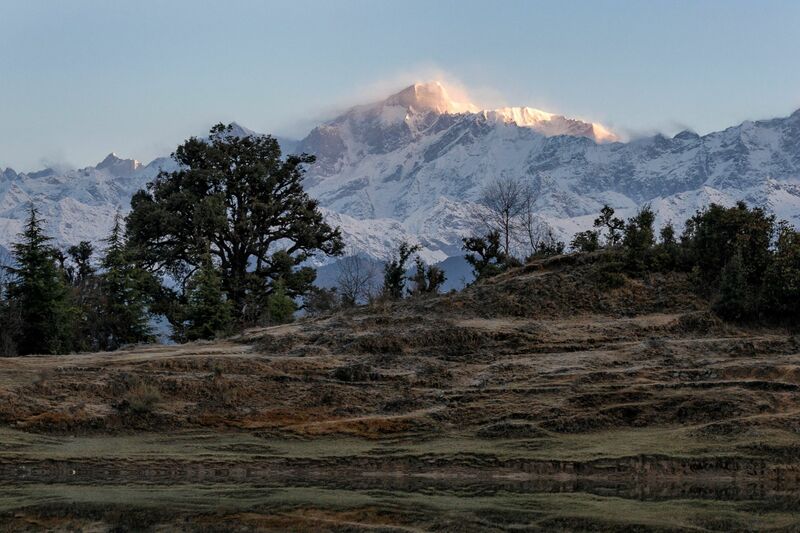 The Lofty terrains and the surrounding natural beauty makes for an incredible experience that enchants every trekker. Chandrashila Trek with Chopta and Tungnath forms one of the most exciting yet challenging trails to tread in Uttarakhand. Soaring up at 13000 feet, adorned with mists, coniferous, and snow, this is one heck of a must try trek. Sari village is the base camp of the Deoriatal-Chandrashila trek, which is at around 8 hours distance of from the nearest railway station of Haridwar. Moderate to Sharp ascent to reach the Tungnath temple and then a 45 minutes of steep climb to Chandrashila is the highlight of this 5 days long trek. 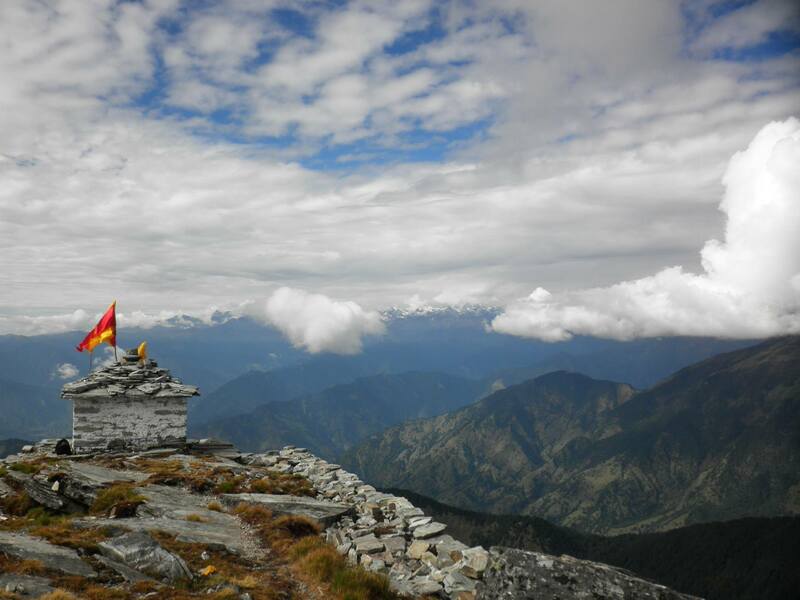 Chandrashila which is also the highest point summit of the Tungnath peak . 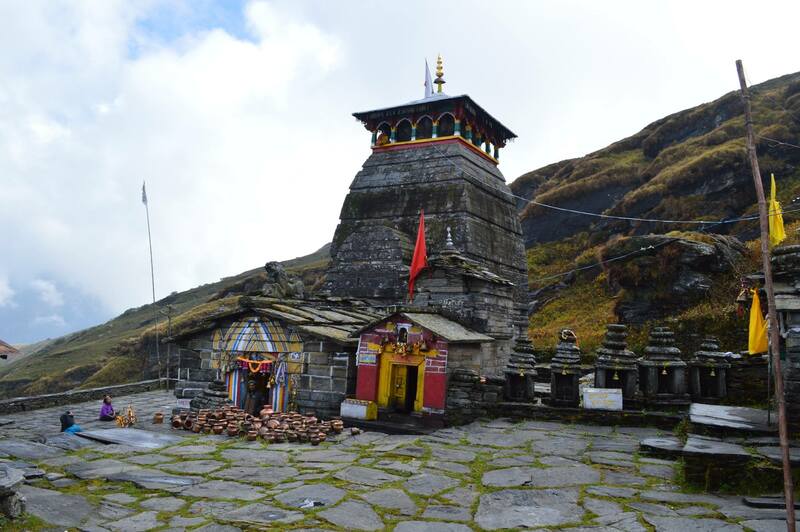 Tungnath, that literally means the “Moon Rock” is located at a height of about 4,100 metres (13,500 ft) above sea level and is the highest abode of Lord Shiva that forms the Panch Kedar Temple. 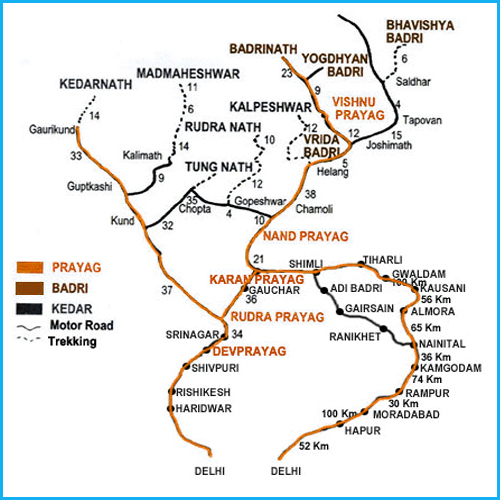 This trek can be undertaken throughout the year, except the days during the winter season . As with the onset of winter season and accompanying snowfall road to Chopta usually gets closed making this trek a hard one to try. Anyways during the Summers it the other way. With plenty of greenery in the forests and immense opportunities for bird watching along side the sheer satisfaction of reaching the heights of Deoria Tal, the highest place during the Chandrashila peak Trek makes it a much sought after weekend trekking destination. The panorama view all around gives an heavenly feeling, simply making it a magical place to be at. No doubt why it is among the best trek in whole of Uttarakhand state. Highest Altitude Reached during Chandrashila Trek : Chandrashila Peak – 12,083 feet, Deoriatal – 7,841 feet. Situated at a height of 3560 m in the Western Ganges of the Garhwal Himalayas, Har Ki Dun trek is a classy river valley trail. 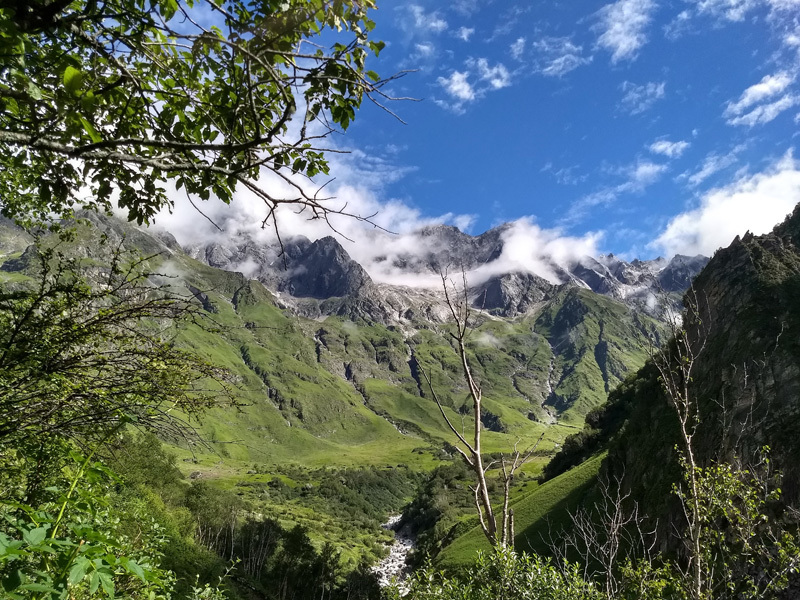 Walking through the wide spread cradle shaped valley enveloped by sparkling peaks and dense forests and through some of the remote villages of Uttarakhand this trek offers a wonderful trekking experience. The view of sunrise and sunset at the Har Ki Dun offers a fascinating views of Jaundhar glacier and surrounding Swargarohini group of peaks that makes it a compelling factors for many beginners to explore this route. Other attractions includes an ancient temple at Osla village with its elegantly carved wooden chambers, is dedicated to Duryodhana. The starting point of Har ki Dun Trek is Taluka village which is 12 kms from the last motorable village i.e Sankri. Dehradun is 180 kms from Sankri village and it also serves as a base camp for other famous Kedarkantha Trek. An undulated walk for some 10-12 km will take you to the next destination, Osla village. Here you will be surprised to find land filled with wild beautiful orchids. From the Osla Village, Har ki Doon is a brief ascending climb for another 14 km from the Pastures filled with wild, aromatic flowers of the Osla village. Boasting of immense serenity and untouched natural beauty, this trek has a vast and varied variety of flora and fauna. It gives you an insight into the lives of the local villagers who are residing here in the valley for thousands of years. This trek is really a heaven for nature lovers, adventure seekers and also shutterbugs. With rich flora an fauna of this region many rare Himalayan species of birds thrives in this region. Capture some thrilling pictures on the trail which will last a lifetime. 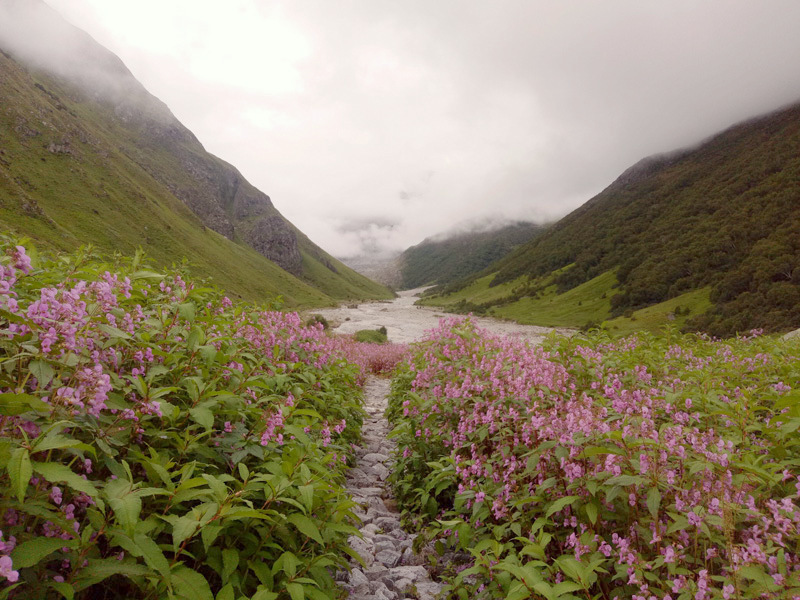 Adorned with attractive wildflowers and a vast variety of fauna, the Valley of Flowers trek is a heaven for nature lovers as well as photographers. 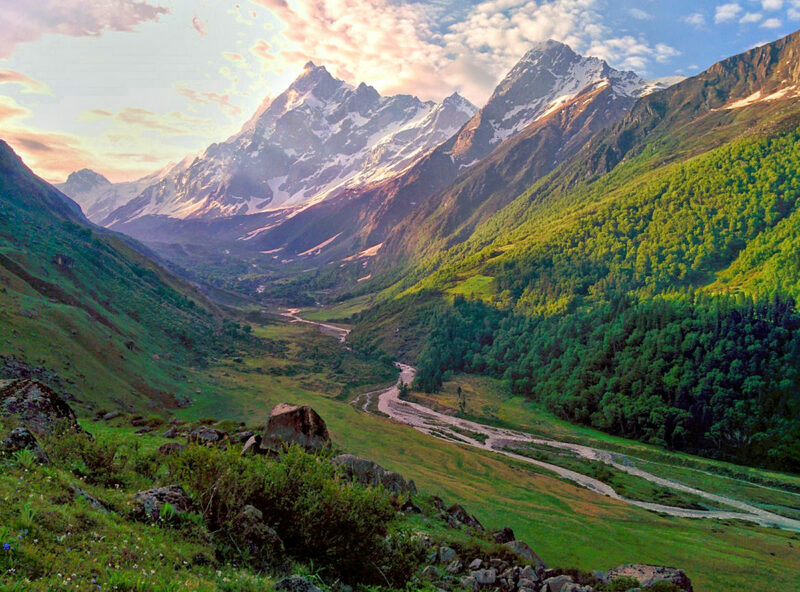 Set in the backdrop of the majestic Zanskar Ranges in the north Indian state of Uttarakhand, Valley of Flowers is a declared World UNESCO Heritage site. Unspoiled by human invasions this imposing land lay iced up for most of the winter months. But, with the onset of hot summer months the whole valley sprouts with majestic bloom of millions of flowers, that turns the whole vistas into a bed of flower. The valley sheds its somnolent nature with its multitudes of exotic flora and the entire region glisten like a colorful flower carpet. Arrive at the Rishikesh towm which is at 20kms distance from the nearest railway station of Haridwar. From Rishikesh board a bus to reach Joshimath which may take around 11 hours. Later, reach Govindghat from where a 14-km trek along the river Lakshman Ganga will take you to the base village Ghangria. 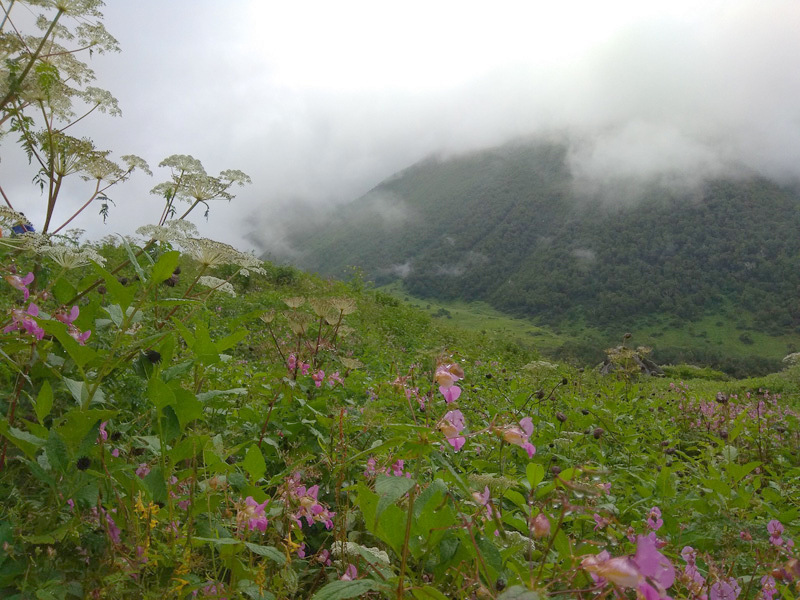 The Valley of Flowers is a 4 kms ascend from Ghangria. 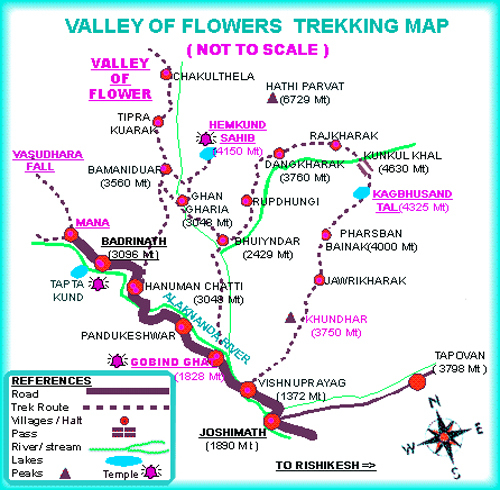 Considered to be one of the best places for trekking in India, Valley of Flower trek has everything a trekkers can think off . 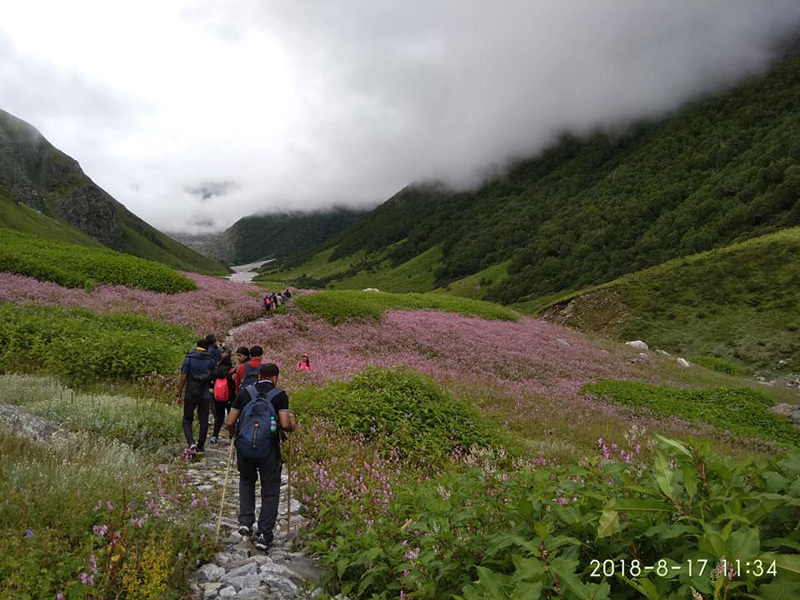 Right from the slim passages, craggy terrains, sharp climbs and alluring views of the surrounding mountains Valley of Flowers trek is a treat to the eyes. A scenic place where the nature blooms with its entire vista can be accessible by a tedious but lovely stroll. Eye catching spectacles like the cascading waterfalls, small streams and above all the flowery meadows awaits the visitors all through the way. With the flamboyant paddocks, crystalline streams and majestic peaks, this baroque of flowers is a worthy watch spectacle. Kedarkantha Trek is yet another spectacular trek in the region of Western Garhwal in the Uttarakashi district. 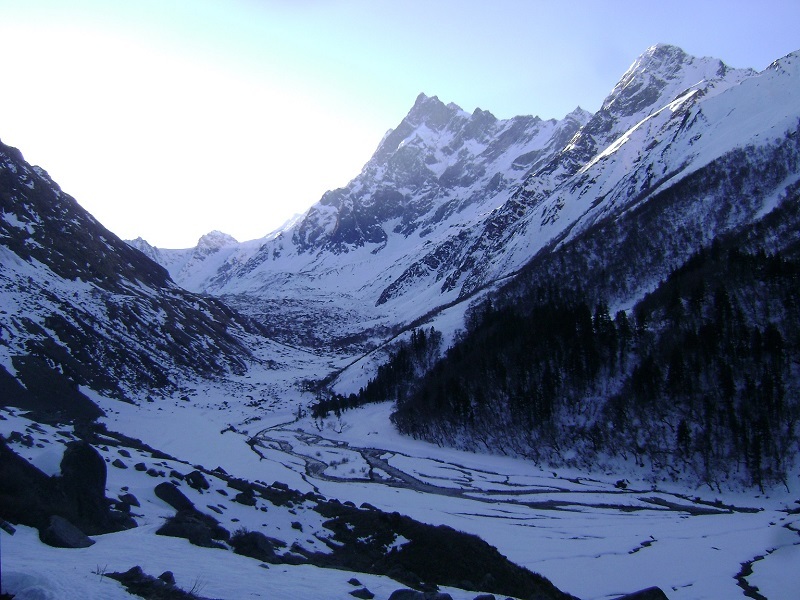 The Kedarkantha Trek is touted as an easy treks that requires no prior trekking experience and which can be attended by people from all age group. 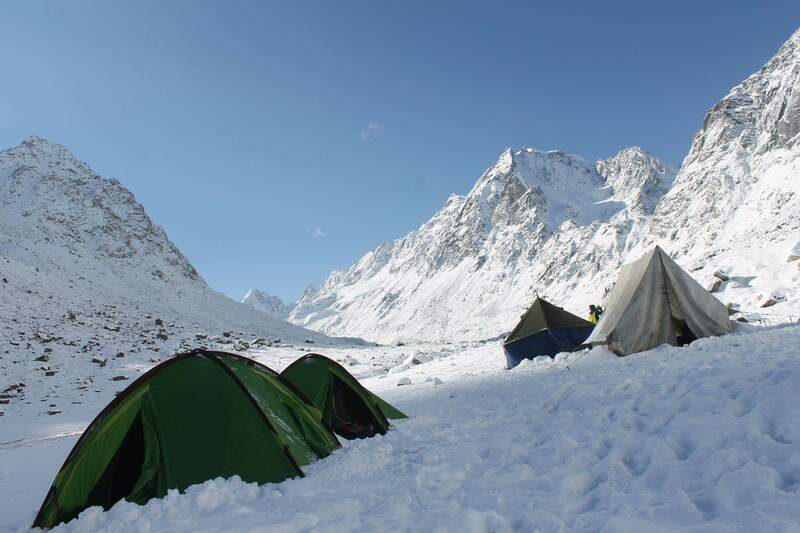 This trek has some of the most prettiest campsites in all of the Himalayan treks. 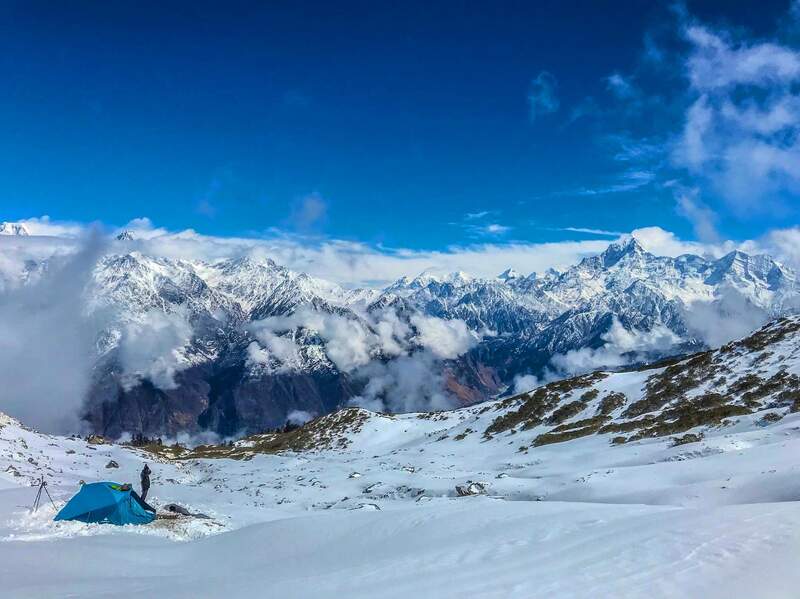 Since each campsite of Kedarkantha Trek are beautifully located at high altitude campsites, it is claimed no other Himalayan treks can boast of the beauty of their campsites like the Kedarkantha trek. 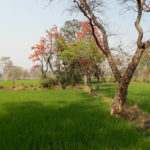 Be it the campsite at the Akroti Thach campsite that sits right in a clearing surrounded by walnut and pine trees or the campsite at the Pukhrola campsite which is on pitched at an open meadow from where the Kedarkantha summit can be viewed very cleary. It may look, as if each one of the campsite are competing with the other for their beautiful setting. This trek starts with narrow trails starting from the base village of Sankri and entering into dense forest meadows which passes through the famous Govind National park. Going further and crossing broad Oak tree forest leads to the first campsite at the moor area of forest which is very near to a weirdly named glacial mountain lake called “JUDA KA TALAB”. 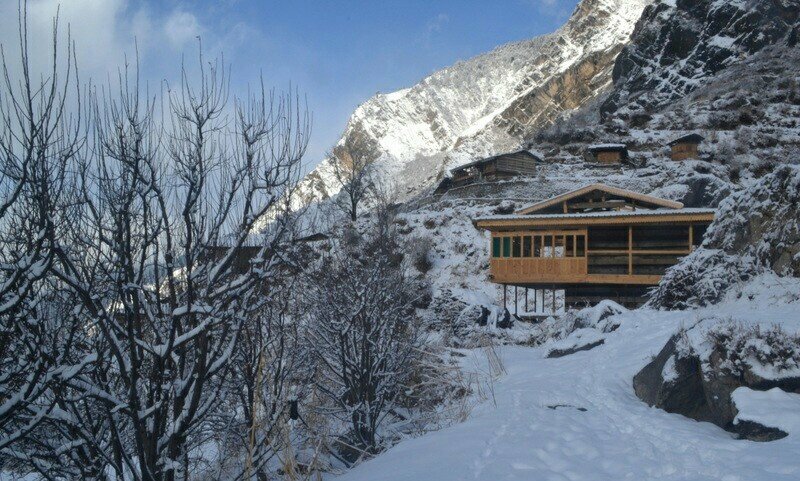 Moving forward towards the next camping site i.e Kedarkantha Base Camp is perched at a very gentle slope along the mountain slopes, giving the perfect view to watch the sunrise and sunset. 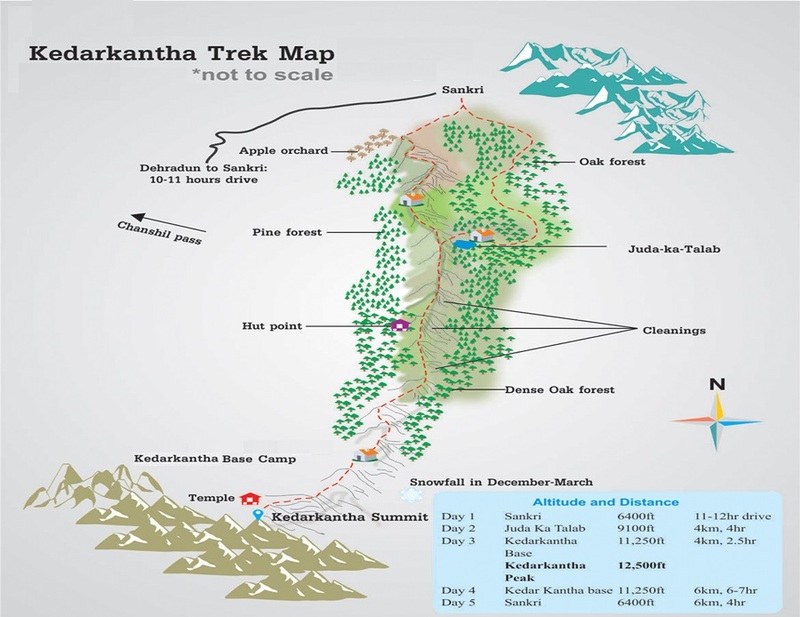 It’s just a roller coaster ride for trekkers after the Kedarkantha Base camp as the trail starts to take a steep uphill. Now the partially visible grasslands and forest land, starts turning into a white blanket of snow covered highlands in every directions. The summit is at the highest point of rocky snow area which is permanently covered with snowy white ice. Here the trekkers gets rewarded with an astonishing 360 degree bird’s eye views of Dhaula Dhar ranges and some of the other peaks like the Mt Banderpooch and the Mt Swargarohini peaks .